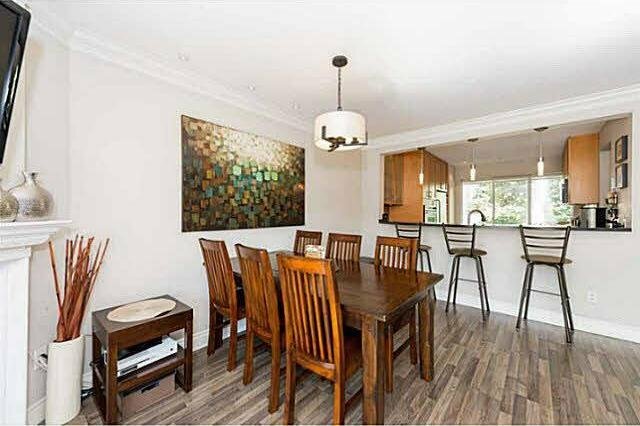 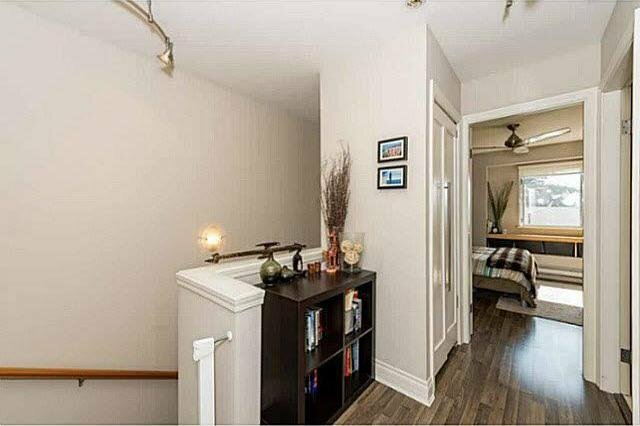 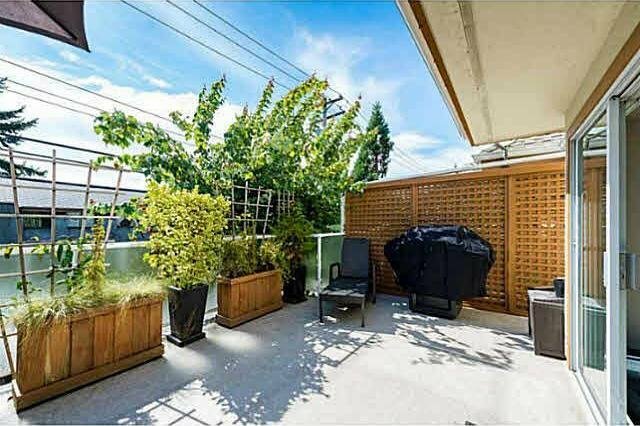 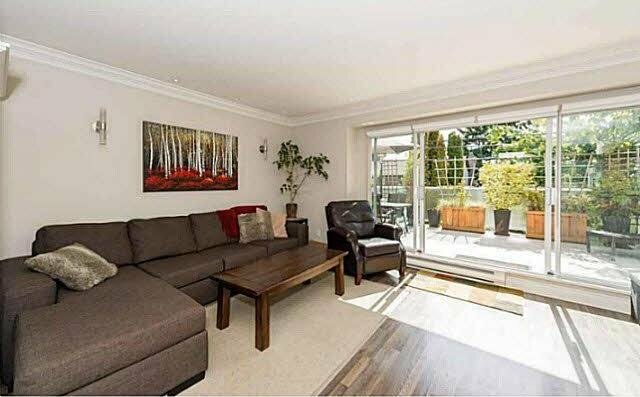 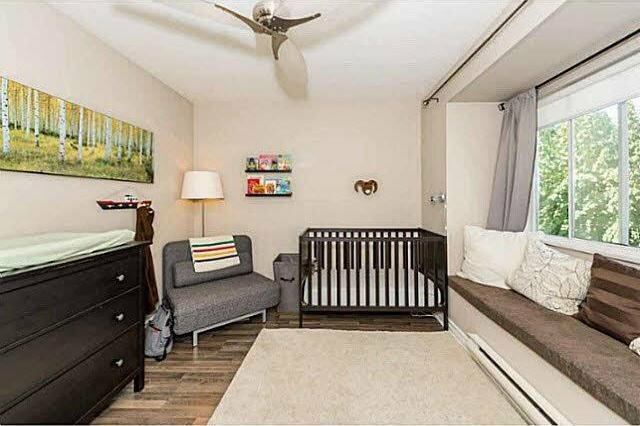 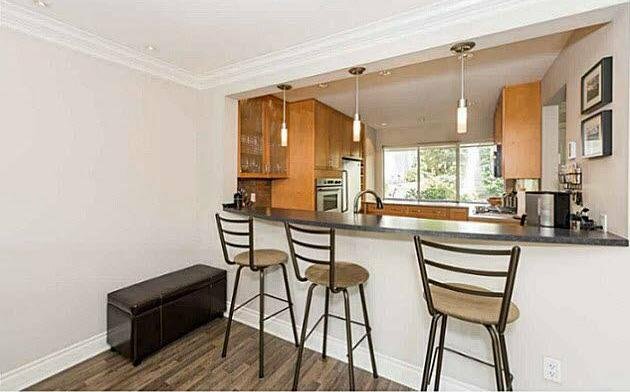 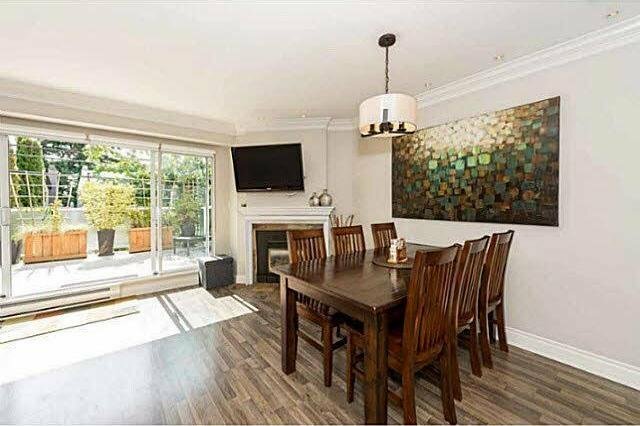 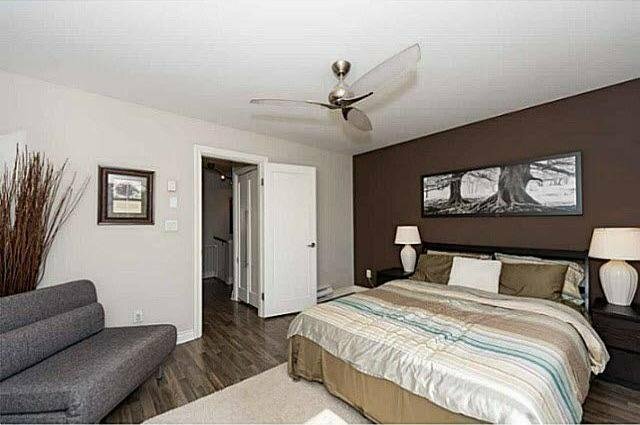 Spacious 2 bedroom 2 bathroom townhouse nestled in the heart of Lower Lonsdale. 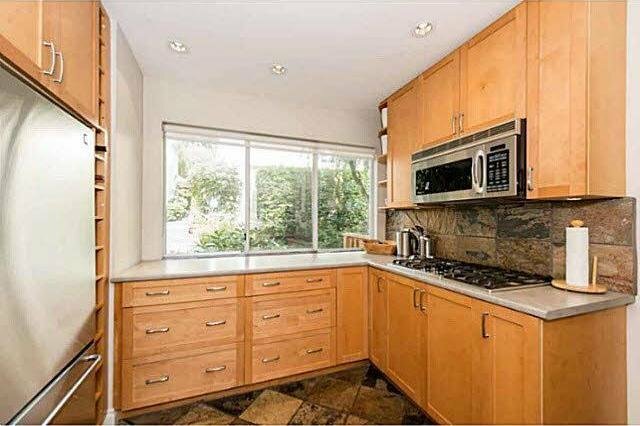 Open main floor plan features a designer kitchen gas cooktop, stainless appliances, breakfast bar and slate tiles. 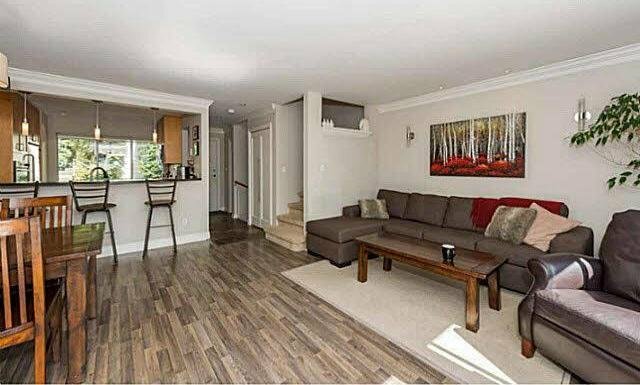 Large living/dining space with laminate flooring, crown moulding and gas fireplace. 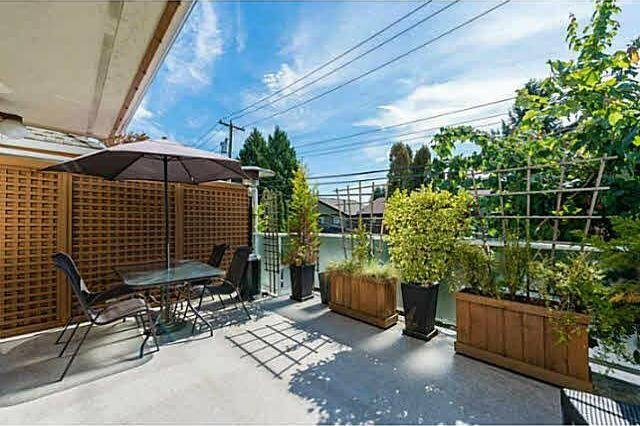 Over-sized south facing patio with partial views is perfect for summer BBQ's. 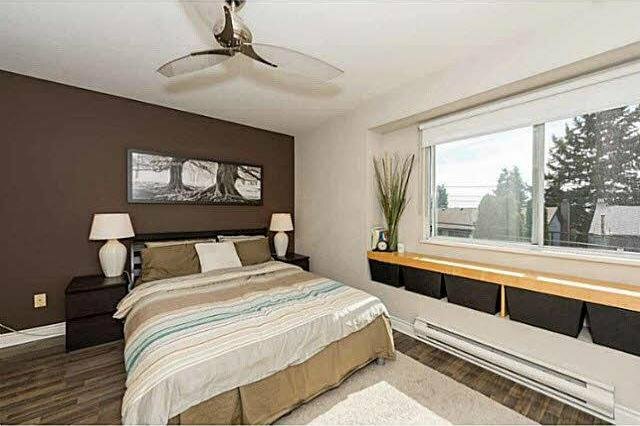 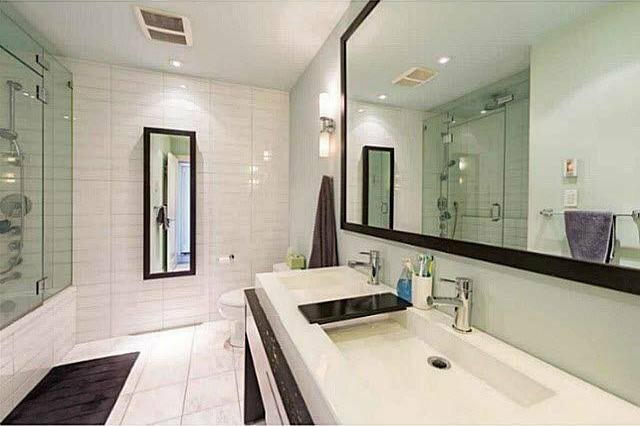 Upstairs features two bedrooms with walk-in closets and a spa-inspired bathroom with jetted tub, seamless glass enclosure, heated floors and double sinks. 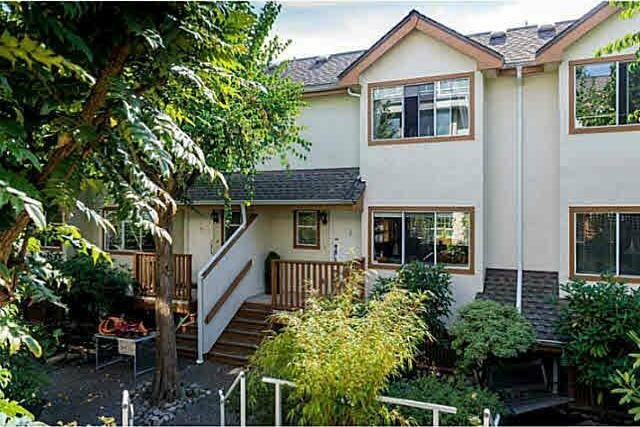 Very proactive strata; recent building updates include new front porches, re-coated back decks, sloped roofs and exterior paint. 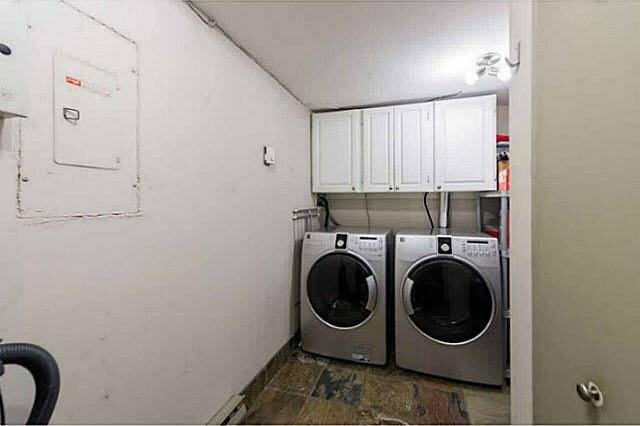 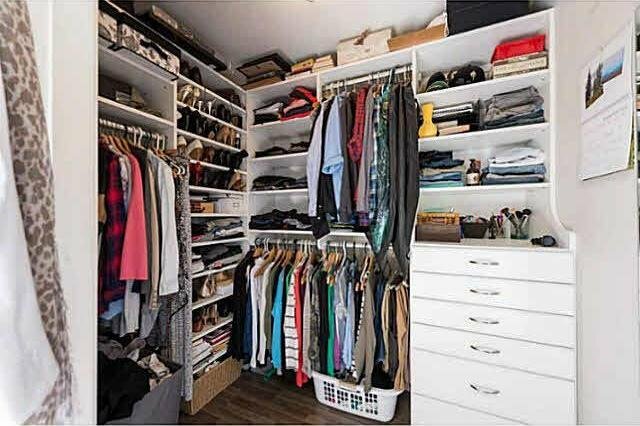 2 parking stalls included and pets are welcome!